I may have accidentally told my grandson that these were crocodile tracks, chasing the humans up the beach. They aren't of course.... they are turtle tracks. Or maybe they were made by the Lifesavers' quad bike. 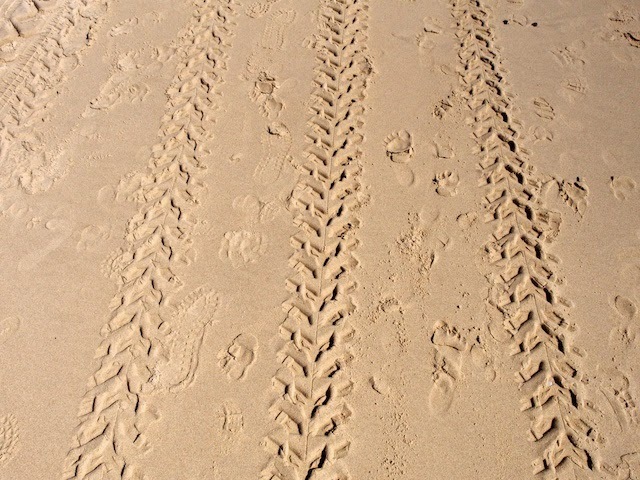 They do look like quadbike tracks to me!